Requires ClusterControl 1.2.11 or later. Applies to MySQL single instances, replications and Galera clusters. 2015-11-03 19:36:02 7fdef130a780  InnoDB: Operating system error number 24 in a file operation. In this case you can simply increase the open_files_limit of the MySQL server(s) by going to Manage > Configurations, click on Change Parameter. We want to make the change on all MySQL hosts, and add the open_files_limit to the ‘MYSQLD’ group. We then have to type in ‘open_files_limit’ in the “Parameter” field, since the parameter has not yet been set in the my.cnf file of the selected servers. Then it is simply to set the New Value to something appropriate. We have > 80000 tables in the database, so we’ll set the new value to 100000. The parameter change was successful, and the next step is to restart the MySQL servers as indicated in the dialogs. Please note that many operating systems impose an upper limit on how many open files can be set on a process. PS. 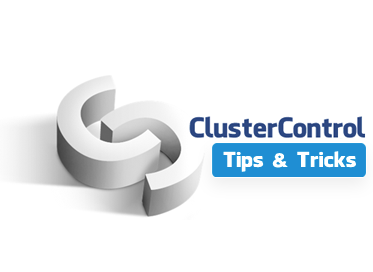 : To get started with ClusterControl, click here!